While many companies tout their goodness, only a bit more than 2,500 have committed, on paper and in practice, to truly be a purpose-driven business. 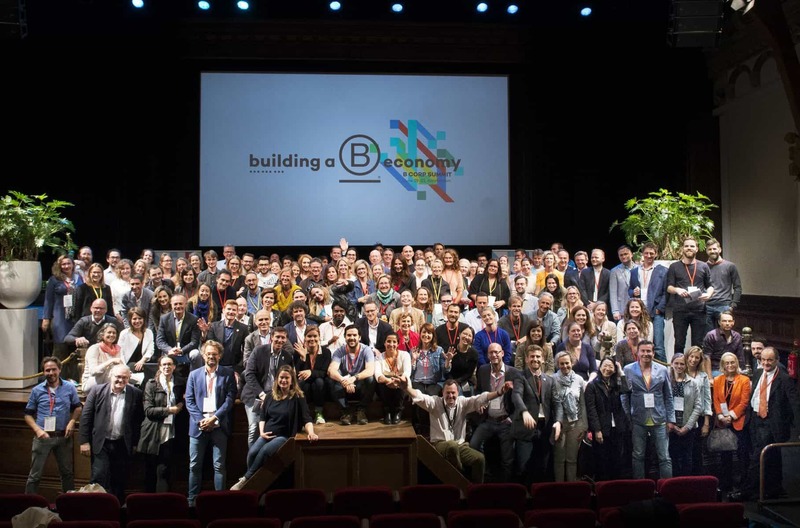 About 140 of the 2,500 globally-based Certified B Corporations joined together in Amsterdam last week to inspire, share and educate each other on best practices and successful initiatives. Ad Victoriam was one of those companies. B Summit 2018 was our first summit as a certified B Corp. We’ve returned and hope the following wisdom we experienced inspires you to consider joining the movement to work toward a better world. Just Start. Even if You Think it is Small. A discussion lead by Elvis + Kresse’s co-founder and renowned fashion designer Kresse Wesling, who started her business making purses from recycled fire hoses focused on how any impact, regardless of size, is worth making. Furthermore, your actions might not change the world, but they build the ripples that eventually form a wave. If everyone sits on the sideline because they can't fix everything right now, then we will get nowhere. Bottom line: it’s okay to start small, impact is impact! Bottom line: There are plenty of incredible people at impactful companies who have already blazed a path. Google them. Email them. Learn from them. The B Summit taught us that the B Corp community is eager to share their knowledge. Use these resources—ask for guidance, advice and inspiration will happen. Instill purpose in your company early and reinforce often. Educate your employees and give them ownership of Corporate Social Responsibility (CSR) initiatives. Encourage them to give back and support the sustainability mission. It is best to find out their passion to see how it fits within the company mission. Bottom line: With your employees onboard, your purpose will become a part of your company's identity. Thinking about becoming a purpose-driven business? Are you considering joining the B Corp movement? If you are interested in learning how close you are to achieving the B Corp certification, take the assessment. The assessment will reveal areas where you may need improvements. We would be happy to speak with you about becoming a Certified B Corporation, especially if you are located in the Atlanta area. If interested, please reach out to our Community Engagement Director, Nathan Stuck. In addition to doing good for the world, our Ad Victoriam Solutions Salesforce Consultants work as a dedicated, innovative team conquering your technology challenges. We are Salesforce cloud and data consultants who customize our approach to suit your processes for increased efficiency, accelerated productivity and scalability. Contact us to learn how we can help your business flourish.